Keep your eyes peeled on social media for announcements about outdoor yoga over the summer, we’re hoping to do as much as possible! Come and meet at the studio before the class, to check in and grab your mat and yoga equipment, and we’ll take you to our designated yoga space to enjoy yoga outdoors. Fingers crossed for wonderful weather! Yoga means ‘union’ – of the mind, breath and body, but this can also, importantly, extend to uniting with, or connecting with, your immediate environment. 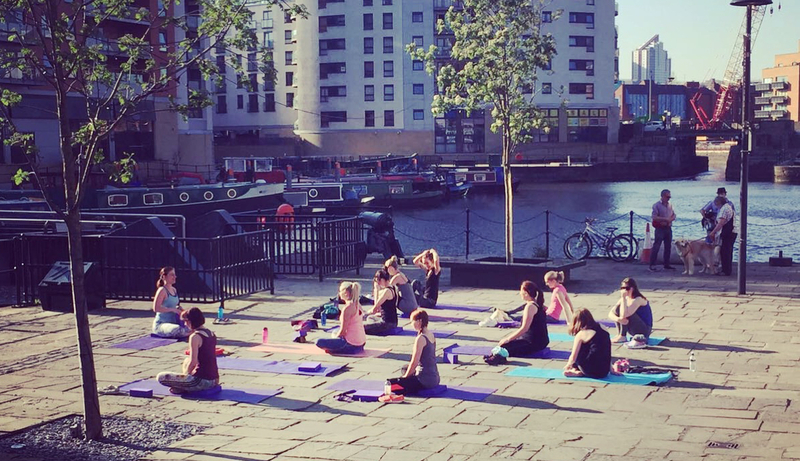 Leeds Dock is such a beautiful part of Leeds, and there’s something deliciously calming about practicing yoga near the water; connecting with your environment, being outdoors and bringing a different dimension to your yoga practice. Come and try it! Keep your eyes on Facebook, Twitter and Instagram for announcements when good weather is forecast.